As the pace of events is winding down in Fukushima so are our updates. Temperatures, pressures etc look quite stable. Pumping of water form the tunnel connected to the number 2 turbine building is marginally successful. Spraying of a resin to bind down radioactive material to the ground, and prevent it from stirring up into the air, is ongoing all over the plant area. TEPCO has managed to get a camera in to investigate the number 4 spent fuel pool and world nuclear news report that the damage is limited, below is a picture from WNN of the pool. Atomic Power Review writes that NISA has doubts about TEPCO's plans to flood the containments. The doubt is regarding the structural integrity of the containments with the added strain from such a huge amount of water. Flooding the containment is a part of TEPCO's plan to restore recirculation cooling to the reactor so it will be crucial to see how TEPCO responds to NISA and if they can show the containments can handle it. If they can not show it conclusively, then they will have to devise a new plan on how to restore cooling. In my last post I was questioning why they would want to flood the containments in the first place, but then realized that if the reactor vessels are broken and leaking, then the only way to submerge the fuel completely is to raise the level of water in the containment to the same level as the top of the fuel assemblies within the reactor vessel. I don't see why this would be needed for the number one reactor, since it seems like it is holding pressure very well and must be pretty intact. But might be the only way for the number 2 and 3 reactors. Over at The neutron economy one can read a blog post on the expected first yearly dose relased by the US department of energy, below is a map of it. The map is using the common american unit millirem. One millirem is equal to 0.01 millisievert. The red area marks the area where one would get more than 20 mSv/year if one lives there given the above assumptions. Yellow area is 10-20 mSv, green area is 5-10 mSv and blue area 1-5 mSv. Neutron Economy also shows a picture with more detail of the over 20 mSv area that can be found in this link. Close to the plant it will be up to 200 mSv and in some hot areas 100 mSv. Some of the hot areas are outside of the initial 20 km evacuation zone and that explain the new evacuation areas. It is not immiedietly dangerous to be in those areas but one probably does not want to live there. It will be interesting to hear what plans will be made to clear out the areas. Outside of Fukushima dose rates are down to natural backgrounds levels according to IAEA. Seems like bans on shipping of most kind of food products have been lifted. In summary one can say that the situation as far as radiation levels are concerned is improving. Radiation levels are decreasing everywhere. The situation with the reactors are fairly stable, but long term cooling is still a big question mark. Day 42: How is a core cooled? Tepco has released more information about their plan to stabilize the Fukushima reactors(link 1, link 2). Their table of measures to be taken is hard to read, but the schematic of the plan is quite enlightening and i have attached it below. They are basically facing 4 problems, ensuring long term cooling of the cores, ensure cooling of the spent fuel pools, prevent release of radioactive material and mitigate the consequences of the releases that will continue for a while. I want to speak a bit more about cooling in this blog post since it is the most crucial problem. As I have written before (and I will repeat it again, bear with me), the most important thing is to get circulation cooling going again. The current way of cooling the reactor, by pumping in water, letting it boil and then venting the steam out into the containment, is not a long term solution since one is continuously adding water to the system. The volume of the containments are large, but not infinite. One can't put more and more water in there without it sooner or later coming out out somewhere, somehow. We are seeing that in the large leakage from the number 2 reactor. Cooling by circulation simply means one pushes water into the core somewhere and take it out somewhere else. The water taken out is then run through a heat exchanger that cools the water by dumping the heat into a heat sink (the ocean). There are a bunch of different cooling systems in a reactor. During normal operation of a BWR(boiling water reactor), heat is carried by steam from the core, the steam passes through a turbine that generates electricity and then the seam goes through a condenser that cools it into a liquid state again, before its pumped back into the core. The condenser in turn is connected to water flow from the sea, a river or some other big body of water that keeps the condenser cool so it is able to condense the steam. When the reactor is shut down there is still decay heat that needs to be removed. One does not want to produce steam during shutdown so the normal cooling by letting steam go through the main steam line out to the condenser is not an option. All BWR's has recirculation pumps that takes some of the core water and recirculates it within the vessel, during normal operation this is done to control the steam level in the core. Connected to this recirculation loop is pumps and pipes that can lead water to a heat exchanger that dumps heat to some heat sink before it is circulated back. This system is used to provide cooling during shutdown and is called the Residual Heat Removal (RHR) system. It's capable of getting rid of the decay heat (heat that continues to be produced from decay of fission products, long after the fission chain reaction is shut down) and keeping the water in the reactor at below 100 degrees Celsius. The above two options both require electricity do drive pumps, both for the internal circulation but also to get seawater to the heat exchangers that cool the water in the internal circuit. If for some reason pumping power is lost there is a system that kicks in and can run for a short time period (hours). The system is called the Reactor Core Isolation Cooling (RCIC) system. It works by using a temporary heat sink. All BWR has something called a "wetwell", the wetwell is a water filled volume within the primary containment below the reactor pressure vessel (that contains the core). In an emergency one can shut the main steam outlet and the main feedwater inlet to isolate the containment from the sounding environment. The steam generated in the core is instead diverted into a small turbine that drives a pump that pumps water into the core from the wetwell or from a water storage tank. After passing through the turbine the steam is dumped down into the water in the wetwell. When mixing with the water the steam will condensed and can be pumped back into the core, at the cost of heating up the wetwell water. When the wetwell water gets close to boiling point it can no longer absorb any heat and it stops acting as a heat sink. When that happens no more water gets returned to the reactor and water level starts to drop in the core. Usually it can absorb a couple of hours worth of decay heat. 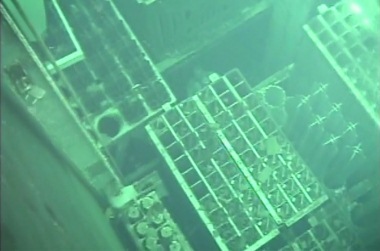 This system was the system that was cooling all the Fukushima reactors for the first hours after the accident. It is almost a passive system, it doesn't require any large amounts of electricity but it do require some small power from batteries for control. The trouble in Fukushima started after the RCIC shut down. There was no power to start up the RHR and water level started to drop causing the fuel in the core to be damaged and release radioactive material into the water in the core. As a emergency move TEPCO then started to inject water into the core to cover the fuel again, without having anywhere to dump the steam getting produced. They have been doing that during all the time so far. The hope was that they would be able to restart the RHR system after recovering power to the reactor. But the tsunami drenched all the switchboards for the control room and also flooded the turbine hall basement where apparently a lot of the equipment related to the RHR is located. Leaks from the core afterwards contaminated this water so much that workers can not get to the equipment to restore the RHR. The dilemma for TEPCO is that they can't repair the equipment for the RHR as long as the cores are leaking radioactive water, but the cores will continue to leak as long as TEPCO continues to inject water into the cores without having restored the RHR circulation. So what can they do in a situation like this? They have desperately been trying to find some way to pump out enough water to be able to start repairs, but to no good. Even if they could it is doubtful the repairs can be made quickly, likely the entire system is completely trashed after having been drenched with salt water for weeks. That leaves TEPCO with only one option, create a new RHR loop. What they are planning to do as far as I can tell is to install a bunch of heat exchangers somewhere with access to seawater. Then they will pump water out of the reactors, through the heat exchangers and then back in. Just like the RHR would do. The difference is that they are going to have to pump the water in pipes straight out of the containment and reactor building. One would normally never do such a thing since the risk of a leakage is not trivial and due to the radioactivity of the water, once they start pumping, no one will be able to be close to the pumps or pipes. It would not be very pleasant for instance if a new earthquake where to rip the pipes apart while they are pumping, but the option of not doing anything isn't really an option at all and if they can get that cooling working then they could more briskly get to work on restoring the real RHR system. From core -> into containment -> out of the containment through a heat exchanger -> then back into the core. I don't see how this solves anything since it is the amount of water present in the containment that seems to be causing the leakage problem in the first place! But I guess their plane will become more clear in the future. As for other news. There is nothing new about the status of the reactors as can be seen from the pictures below, temperatures in all three reactors continue to go down. Pressure in number one reactor seems to have stabilized a bit and the declining trend in radiation levels around Fukushima continues. All Things Nuclear Cleanup Lessons from TMI for Fukushima? Jinge Vad har vi lärt oss? There are now a few scientific articles available from the arXiv preprint server. We may put some more detailed comments on them as soon as we have had the time to look at them closer ourselves, but they may be of interest to a broader audience. 30 March 2011: Observations of Fallout from the Fukushima Reactor Accident in San Francisco Bay Area Rainwater, by Eric B. Norman, Christopher T. Angell, Perry A. Chodash, Department of Nuclear Engineering, University of California, Berkeley, USA. 15 April 2011: Arrival time and magnitude of airborne fission products from the Fukushima, Japan,reactor incident as measured in Seattle, WA, USA, by J. Diaz Leon, D. A. Jaffe, J. Kaspar, A. Knecht, M. L. Miller, R. G. H. Robertson, A. G. Schubert, Department of Physics and Center for Experimental Nuclear Physics and Astrophysics, University of Washington, Seattle, USA, and Department of Interdisciplinary Arts and Sciences, University of Washington, Bothell, USA. 19 April 2011: Measurement of airborne radioactivity from the Fukushima reactoraccident in Tokushima, Japan, by K. Fushimi, S. Nakayama, M. Sakama, Y. Sakaguchi, Institute of Socio Arts and Sciences, The University of Tokushima, Japan, Department of Radiological Science, Division of Biomedical Sciences, Institute of Health Biosciences, The University of Tokushima, Japan, and Faculty of Integrated Arts and Sciences, The University of Tokushima, Japan. In an earlier blog post there were discussions in the comments regarding the difficulties in correctly identifying which isotopes that are found in the releases. These articles show some nice examples of pulse-height spectra from gamma spectroscopy measurements (incidentally, it is Figure 1 in all three papers). Figure 1 in the paper about analysis of rainwater in the San Franciso Bay area (page 6) clearly illustrates how difficult it can be to correctly identify relatively small peaks on a large background. The samples taken in the water pools at the Fukushima power plant have an even more complicated mix of radioactive nuclides, so this is part of the explanation to why there have been some strange reports regarding identified isotopes. The last paper surprised me first due to the low levels of Iodine-131 detected, there was a peak value of 2.5 milli-Becquerel per cubic meter of air observed on 6 April, only slightly higher than the peak value observed in Stockholm on 30-31 March (2.15 milli-Becquerel per cubic meter, a tiny amount as explained here (in Swedish only)) and the other data are much lower, around 0.1-0.2 milli-Becquerel per cubic meter. The reason is due to the geography, Tokushima is located on the island Shikoku far to the south-west of Fukushima. Due to the dominating wind pattern, the detected radioactive nuclides have mainly traveled around the entire planet before reaching Tokushima, and therefore have much lower activity. However, the peak around 6 April is due to a temporary change in the wind pattern. Calculations from the Central Institute for Meteorology and Geodynamics (ZAMG) in Austria show examples of the wind patterns. Here is an example from 6-7 April for Iodine-131. If anybody has any questions related to the articles, you are welcome to post them here and we will try to answer. Birgitta Dahl(s) har yttrat sig i DN med 3 partikamrater. Kortfattat tycker jag att någon som varit med som att köra Svensk kärnkraft i botten genom dåliga politiska beslut knappast skall försöka läxa upp andra om kärnkraftspolitik. Birgitta Dahl, du är ansvarig för att Tankeförbudslagen skapades. När du fick veta att man ville ersätta Sveriges äldsta reaktorer med nyare och säkrare varianter, skapade du en lag som gjorde det förbjudet att ens sätta på papper en tanke om vad det skulle kunna kosta, eller hur en sådan reaktor kunde se ut. Det hela slutade med att dina partikamrater kröp till korset 20 år senare och med skammens rodnad på kinderna erkände att den lag du skapat hade skadat Sveriges kärnkraftssäkerhet, och dessutom var minst sagt tveksam ur ett demokratiskt perspektiv. Och Lena Sommestad, du säger på din blog: "Våga välja en hållbar energiframtid"
Tja... vad sägs om att du börjar med att ta dina egna ord till hjärtat? Föregå med gott exempel genom att släppa den trygga, men unkna snuttefilt som är ditt kärnkraftsmotstånd. Våga se bortom en över 30 år gammal åsikt. Vi har i Sverige sedan 2002 Hållbar Utveckling inskriven i grundlagen. Definitionen av Hållbar Utveckling beskrivs i Brundtlandkommissionens rapport Our Common Future. Läs speciellt kapitel 2, stycke 12. Enligt den definitionen är avveckling av kärnkraft helt oförenligt med Hållbar Utveckling. Hållbar Utveckling handlar bland annat om resurshushållning. Du företräder en politk som vill att uran, thorium och använt kärnbränsle skall vara skräp och oönskade restprodukter som inte duger till annat än att döda andra människor i krig med. Dessutom låser du fast oss vid en avfallslösning som måste hålla i 100 000 år, d.v.s. 3 000 generationer. Med vidareutvecklad kärnkraft blir istället uranet, thoriumet och - framför allt - vårt använda kärnbränsle istället en energitillgång utan dess like, som i ett slag hjälper till att avlasta den enorma press vi sätter på klimatet, miljön och våra globala resurser. Dessutom kan vi med vidareutvecklad kärnkraft förinta DU-vapen och atomvapen precis som redan idag sker till viss skala. Dessutom kapar vi avfallslösningen från 100 000 år / 3 000 generationer, till 500 år / 15 generationer. När man kan förvandla skräp och vapen till energiproduktion i människans tjänst, samtidigt som man besparar tusentals generationer att sitta barnvakt åt våra atomsopor, så är det omöjligt att säga nej till det, speciellt om man åberopar Hållbar Utveckling. Lena Sommestad, före detta miljöminister... om du vill åberopa Hållbar Utveckling som argument för din föreslagna politik, se då till att du först har förstått innebörden av det du säger... för ditt eget argument tvingar dig att göra motsatt det du föreslår. ...eftersom du inte törs stå för dina ord eller tro på dem, varför skall jag tro på dem? Om du ärligt anser att kärnkraften är en tickande bomb, varför begär du inte snabbstopp nu? Dahl och Sommestad får sina svar här. Ett mer lämpligt svar till dig - eftersom du kör på skrämselspåret - hittar du här: Nedlagd kärnkraft kräver ansvar av motståndarna. Det är addresserat till Per Bolund, men eftersom din argumentation är densamma så kan du också känna dig träffad. Antingen begär du snabbstopp direkt.... nu... idag. Lägg motionen omgående att svensk kärnkraft måste snabbstoppas inom en månad. Eller så tar du ansvar för att ersättare för det fossila och kärnkraften kommer på plats, med garantier och hårt förbundet personligt ansvar. Gör du inget av detta skall du lämna kärnkraften ifred och istället ge den ditt fulla stöd så att den kan fungera bra. It seems like TEPCO has realized it will take some time for them to restore the internal circulation pumps in reactor 1-3. The equipment has been drenched in salt water for some time now and the highly radioactive water in the turbine halls makes it very hard to do any kind of work. The normal cooling works by having water circulating through the core, then going through a heat exchanger that transfers heat from the water to an outer circulation loop that transports the heat to some kind of heat sink (in this case the ocean). The form of cooling that TEPCO has been doing since this accident started is to simply pump water into the cores, where it boils and creates steam that they then blow down into the wetwell. This means water is going into the building, but not leaving it. As anyone can realize that can't go on forever until water comes out somewhere because the wetwell and containment doesn't have infinite volume to store water. All the crap water that has been leaking into the sea is a result of this cooling method. Since they have to try to prevent more leakage into the sea and they can't get the internal cooling working TEPCO was left with the choice to build a new closed loop with new heat exchangers. All one really need is a pipe where one can put water into the reactor and another pipe where one can take the water out. Connect that to a heat exchanged and voila you have new circulation cooling without any need to fill the wetwell with steam. That is exactly what TEPCO is going to do. That isn't a solution without problems though. The reactor circulating through the core will become very radioactive due to the partially melted fuel, so any pumps and pipes used will be dangerous to approach. Everything has to be set up in such a way that once started it will run quite reliably, because repairing things won't be easy. It would also be quite dirty if the pipes or pumps starts leaking so they better make them tight. Still it seems like a better and more long term solution than what they doing right now and it seems to be necessary in order to get rid of the radioactive water in the turbine halls, in order to get access to the real pumps and restore/replace them. Right now water is leaking out as quickly as they can pump it away. The above strategy is a part of a bigger plan to stabilize all the reactors, stop all leakage of radioactive material and put all 3 reactors into cold shutdown. TEPCO estimates it will take 6-9 months before its all finished. Among other things TEPCO will build up storage and processing facilities for the radioactive water, build covers over the damaged reactor buildings , somehow repair the breach in the number 2 wetwell (one article mentioned "sticky concrete") and inject nitrogen into all the containments. Atomic Power Review has a nice short list. It is positive that TEPCO seems to have a long term plan, lets hope they will be able to proceed with all the steps without to many unexpected problems. TEPCO has driven around inside the reactor buildings with a robot equipped with radiation detectors and the dose rates within the buildings are around 50 mSv/hour. A worker could only work there for 5 hours before they exceed the maximum allowed dose limit. I wonder how they plan to deal with that and I also wonder how they have measured it. The status of the reactors are fairly unchanged. Temperature going down in the number one reactor. Gamma dose rates are measured daily in all 47 prefectures. The values tend to decrease over time. For Fukushima, on 18th April a dose rate of 1.9 µSv/h was reported. In the Ibaraki prefecture, a gamma dose rate of 0.13 µSv/h was reported; in all other prefectures, reported gamma dose rates were below 0.1 µSv/h. Dose rates are also reported specifically for the Eastern part of the Fukushima prefecture, for distances beyond 30 km from Fukushima-Daiichi. On 16th April, the values in this area ranged from 0.1 to 25 µSv/h. Only in a few prefectures, I-131 or Cs-137 is detectable in drinking water at very low levels. As of 16th April, one restriction for infants related to I-131 (100 Bq/l) is in place in a small scale water supply in a village of the Fukushima prefecture. On 15th and 16th April, the IAEA Team made measurements at 44 different locations in the Fukushima area at distances ranging from 20 to 58 km, West from the Fukushima nuclear power plant. At these locations, the dose rates ranged from 0.6 to 37 µSv/h. At the same locations, results of beta-gamma contamination measurements ranged from 0.03 to 2.8 Megabecquerel/m2. The highest values were observed at distances of less than 30 km from the power plant. On 17th April, the IAEA Team made measurements at 17 different locations in the Fukushima area at distances ranging from 20 to 62 km, North and Northwest from the Fukushima nuclear power plant. At these locations, the dose rates ranged from 0.4 to 3.3 µSv/h. At the same locations, results of beta-gamma contamination measurements ranged from 0.03 to 0.27 Megabecquerel/m2. I hope someone will soon release maps of ground contamination so one can get a sense for how much land will be unusable. Idaho Samizdat Impact of Fukushima on new U.S. reactor projects? 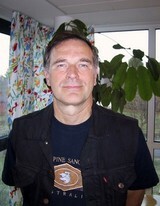 Motvallsbloggen Fukushima? Vadå, vi har ju inga jordbävningar här? German economy minister: "To prevent paper cuts, we must cut off our arms"
Ok, now it is official: Germany has gone batshit crazy. The original article can be read here (in german). In a document from Friday's meeting obtained by Reuters, Merkel and her ministers laid out a six-point plan that includes a 5 billion-euro credit programme to support renewables. It will also require building new gas and coal plants, Merkel said. "Gas and coal power plants were discussed... an accelerated exit from nuclear energy will lead to replacement power stations," she said. This is about as stupid an idea as to say that in order to prevent paper cuts to your finger you should cut off your arms! Sure... you achieve what you aimed for... but did you really concider the side effects before you took a knife and started carving?